How to generate a custom data fusion algorithm in 25 minutes: Webinar on December 11th - register now! We would like to introduce the enhanced customization and visualization capabilities of BASELABS Create 7. Furthermore, we invite you to experience how to generate a custom data fusion algorithm within 25 minutes in our webinar on December 11th. 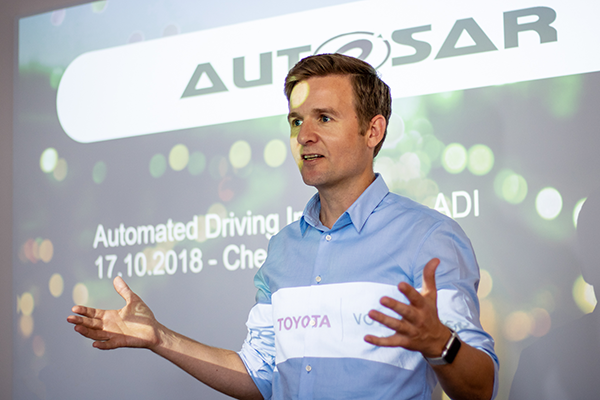 A new working group within the AUTOSAR universe "Automated Driving Interface (ADI)", which is led by our CTO Eric Richter, underlines BASELABS´ initiatives for series development. 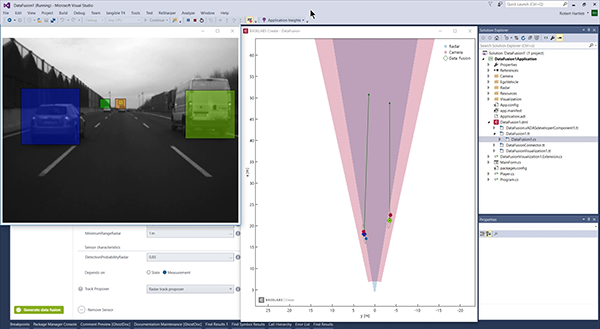 We are currently preparing the Automotive SPICE assessment and product launch of our new development framework BASELABS Create Embedded, which is expected in Q1 2019. In our webinar on December 11th you will experience how to use the development framework BASELABS Create to generate a custom data fusion algorithm within 25 minutes by means of configuration and customization. Our data fusion expert Katharina Wagner will introduce how developers are enabled to resolve their individual data fusion challenges fast and efficiently with BASELABS Create. This includes the graphical configuration of the sensor setup, the generation of matching data fusion code and the generation of an integration layer for middleware systems such as vADASdeveloper, ROS, ADTF or RTMaps. The webinar is hosted by our partner company Vector and is one of its webinars for developers of driver assistance systems. Register now for the webinar December 11th 9:00 am or 3:00 pm. The data fusion designer of BASELABS Create allows to setup and generate complex data fusion systems. To characterize each sensor in the setup, you select from either built-in or custom models, adjust parameters and then generate a data fusion algorithm using pre-defined algorithm templates. While this approach quickly provides results, some setups and use cases require to fine-tune the standard algorithm templates which BASELABS Create contains. BASELABS Create 7 allows to completely customize data fusion algorithms, e.g. to use a specific algorithm for one sensor from the configured sensor setup while using standard algorithms for the other sensors. By this, fast algorithm generation by the data fusion designer can be combined with custom approaches. 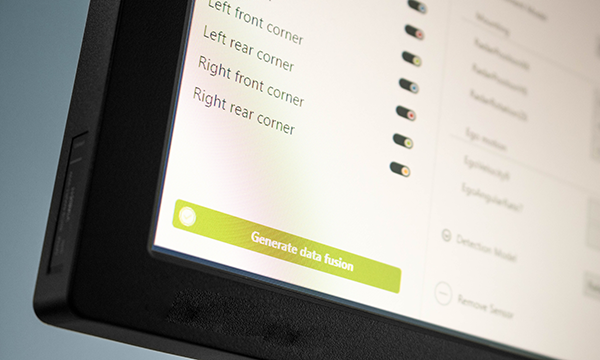 In addition to the actual data fusion system, BASELABS Create generates a visualization from the configured sensor setup to diagnose the resulting data fusion system. Among others, this allows to verify the sensors mounting position, field of view and sensor characteristics like measurement noises, detection probability and false alarm rate. As this visualization is auto-generated from the sensor setup, it is automatically adapted when the setup is changed, e.g. if a new sensor is added or sensor parameters like the mounting position are changed. 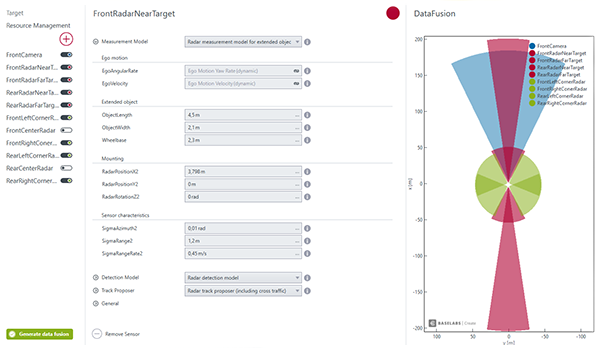 In BASELABS Create 7, the visualization has been further enhanced. In the video below, a typical diagnostic workflow is demonstrated using BASELABS Create. For the development of automated driving functions, there is a huge potential in reducing costs by standardizing elements of the complex sensor, hardware and software setup. The working group Automated Driving Interface (ADI) aims to provide standardized sensor interfaces within the AUTOSAR universe so that suppliers, OEMs and tool providers can rely on these standards for their series development activities. Our CTO Eric Richter is leading the working group to contribute with expert knowledge in data fusion and tool integration. BASELABS' tool-based workflow for the development of data fusion algorithms allows to integrate into middleware systems for series production like AUTOSAR. At BASELABS, the founders are also active team members. Norman Mattern, Eric Richter, Holger Löbel and Robin Schubert have turned a research idea into a successful company. In their positions as product managers, CTO, CMO and CEO, they are the link between daily work and the long-term corporate strategy. This has clear benefits for our customers such as quick decisions, a strong personal commitment and a clear focus on sustainable cooperation. In the video, Norman gives you an insight about the past 6.5 years. 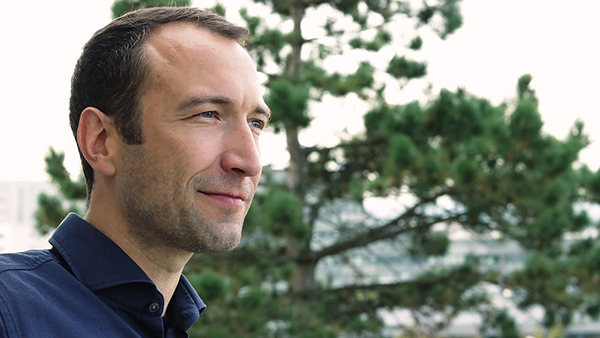 11.12.2018: Webinar "Generate a custom data fusion algorithm in 25 minutes: Efficient and scalable development of data fusion systems for ADAS and HAD"